Improve the Health Care Delivery System. Congress passed legislation funding the Children’s Health Insurance Program (CHIP) for ten years. The continuing funding resolution (R. 195) was signed into law on Jan. 22, 2018, and the Bipartisan Budget Act (H.R. 1892) was signed into law on Feb. 9, 2018. In addition, the so-called Cadillac tax on generous health insurance plans was suspended for an additional two years to 2022. Support Quality Resident Training and Education. A growing number of members of Congress cosponsored the Resident Physician Shortage Act ( 1301 / H.R. 2267), which would provide Medicare funding for an additional 15,000 residency training slots. Abolish the Independent Payment Advisory Board (IPAB). 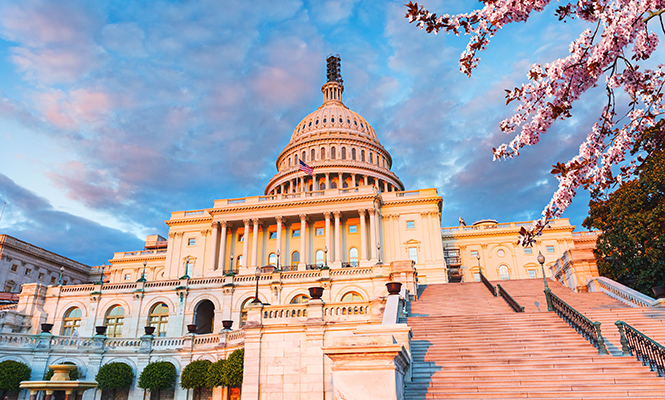 After nearly a decade of advocacy, the AANS and CNS helped lead a successful effort to repeal the IPAB, which was accomplished in the Bipartisan Budget Act (R. 1892). If implemented, this 15-member government board was empowered to make Medicare payment cuts that would have resulted in significant reductions in neurosurgical reimbursement. Alleviate the Medical Liability Crisis. The AANS and CNS moved the medical liability reform ball further down the field on several fronts. The House of Representatives passed the Protecting Access to Care Act (R. 1215), which included key reforms modeled after those in place in California and Texas. The president also signed into law the Sports Medicine Licensure Clarity Act (S. 808 / H.R. 302) on October 5, 2018, which clarified medical liability rules for physicians traveling with sports teams. Additionally, progress was made to provide physician volunteers with medical liability protections in the event they render care during a national emergency or disaster, as the Good Samaritan Health Professionals Act (S. 781 / H.R. 1876) advanced in Congress. Finally, members of Congress demonstrated their support for protecting physicians from medical liability claims when they provide services mandated by the Emergency Treatment and Labor Act (EMTALA) by cosponsoring the Health Care Safety Net Enhancement Act (S. 527 / H.R. 548). Continue Progress with Medical Innovations. To ensure that the U.S continues to lead the world in medical innovation, the AANS and CNS helped lead an effort to suspend the medical device excise tax for an additional two years. This provision was included in the continuing funding resolution (R. 195). Restructure Medicare Quality Improvement Programs. 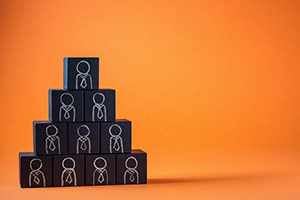 Implemented as part of the Medicare Access and CHIP Reauthorization Act (MACRA), Medicare’s Quality Payment Program (QPP) continues to be a complicated check-the-box program, which is burdensome to physicians and fails to help improve quality. The AANS and CNS worked with organized medicine to include in the Bipartisan Budget Act (R. 1892) additional flexibility to minimize penalties for years 2021-23 and eliminate the requirement that electronic health record (HER) standards become more stringent over time, while also maintaining EHR hardship exemptions. Champion Fair Reimbursement. Finally, due to the advocacy efforts of the AANS and the CNS, no changes in global surgery fees will be forthcoming in 2019. The Center for Medicare & Medicaid Services (CMS) global surgery code data collection initiative was poised to produce cuts in neurosurgical reimbursement by at least 25 percent. 2019 Medicare Physician Fee Schedule. Overall, in 2019, CMS estimates that payments to neurosurgery will not change. Due to the advocacy of the AANS and CNS cuts in the professional liability values were prevented and sweeping changes to evaluation and management (E/M) codes were modified and delayed. Both proposals would have resulted in a $20 million Medicare pay cut for neurosurgery. Reversing National Correct Coding Initiative Spine Code Edit. A National Correct Coding Initiative (CCI) edit incorrectly prohibited the reporting of CPT codes 63047 and 22633 at the same interspace, inappropriately bundling decompression and lumbar fusion. The AMA CPT Assistant publication incorrectly confirmed the edit in October 2016, leading several private payors including Aetna and Cigna to cite the publication as a reason to adopt the edit. Through vigorous advocacy, AANS/CNS Coding and Reimbursement Committee leaders led a multi-specialty coalition to successfully convince the AMA to issue a correction in the May 2018 CPT Assistant. Efforts to get payors to reverse this edit are ongoing. Correcting Co-Surgeon Coding for Craniosynostosis. AANS/CNS Coding and Reimbursement Committee leaders successfully advocated for CMS to reverse course and Medicare will now reimburse a co-surgeon for the craniosynostosis codes (61550, 61552,61556, 61557, 61558 and 61559) when appropriately documented. Championing Appropriate Coverage of Neurosurgical Services. The CNS/AANS Coding and Reimbursement Committee’s Rapid Response Team (RRT) continued address numerous national and state coverage issues. For example, in August 2018, Aetna updated its policyto extend coverage for expandable spinal cage devices from L2 to S1. In addition, Anthem published an updated coverage policy for Deep Brain, Cortical, and Cerebellar Stimulation, incorporating a number of recommendations from neurosurgery, such as dropping the criteria that an individual must try and fail vagus nerve stimulation (VNS) first before coverage is allowed for responsive neurostimulation (RNS). In May 2018, the Washington State agreed to cover open decompression and minimally invasive techniques that include laminectomy, laminotomy, foraminotomy and discectomy. Finally, the AANS and CNS successfully advocated for Medicare to cover (in most regions of the country) Magnetic-Resonance-Guided Focused Ultrasound Surgery (MRgFUS) for Essential Tremor. FDA Adopts Opioid Recommendations. In January 2018, Robert F. Heary, MD, FAANS, appeared before the FDA at a hearing on opioid Risk Evaluation and Mitigation Strategies (REMS). Dr. Heary presented testimony developed by the AANS/CNS Drugs and Devices Committee and the AANS/CNS Joint Section on Pain that included a recommendation that FDA facilitate a standardization of prescription drug monitoring programs (PDMPs) to make checking easier for physicians. Adopting our suggestions, in March, FDA Commissioner Scott Gottlieb, MD, called for a national electronic prescribing platform to help combat the opioid crisis and to help ensure that physicians get prompts the moment they are writing a prescription. This will ensure appropriate prescribing and allow public health officials to collect nationwide data on opioid and controlled substance use. Ensuring the Safety of Intracranial Aneurysm Treatment Devices. The AANS/CNS Drugs and Devices Committee in coordination with the AANS/CNS Joint Section on Cerebrovascular Neurosurgery, developed a statement for the FDA Neurological Devices Advisory Panel meeting on March 1, 2018, recommending issues to consider in the evaluation of clinical study data to support the safety and effectiveness of intracranial aneurysm treatment devices. 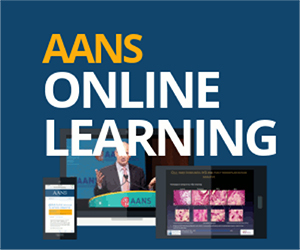 Attending on behalf of the AANS and the CNS and the AANS/CNS Cerebrovascular Section were Kevin M. Cockroft, MD; Robert E. Harbaugh, MD, FAANS; J Mocco, MD, MS, FAANS; Clemens M. Schirmer, MD, FAANS; Adnan H. Siddiqui, MD, PhD, FAANS; and Babu G. Welch, MD, FAANS. Neurosurgeons serving on the panel included Julie G. Pilitsis, MD, PhD, FAANS; Kadir Erkmen, MD, FAANS; William W. Ashley, MD, PhD, FAANS; and Gregory Thompson, MD, FAANS. Christopher M. Loftus, MD, FAANS, was at the meeting in his role as Chief Medical Officer for the FDA Division of Neurological Devices. Millions Appropriated for Injury Treatment and Prevention. The AANS and CNS successfully advocated for increased funding for injury prevention and treatment and emergency preparedness. In addition, on Dec. 21, 2018, the president signed into the Traumatic Brain Injury Program Reauthorization Act (R. 6615), which renews federal brain injury programs and authorize more than $19 million annually for federal and state programs. With the U.S. House of Representatives switching to Democratic control for the first time since 2010, and the Republicans gaining seats in the Senate, the voters in the 2018 midterm elections pulled the lever for divided government. While on election day it was more purple rain than a blue wave, as more races were called, the Democrats increased their tally. With one race yet to be decided (North Carolina’s 9th Congressional District), Democrats gained at least 40 House seats to control the chamber by a margin of 235-199. Republicans increased their Senate majority by two seats and now hold a 53 to 47 advantage. A surge of female candidates produced a record-breaking number of women elected to serve in the next Congress, shattering the prior record of 107. When the dust settles, more than 125 women will walk the halls of the House and Senate. Already the first female House speaker in history, Rep. Nancy Pelosi (D-Calif.) will once again serve as Speaker of the House of Representatives, and she now becomes the first woman to hold the job twice and the first person in nearly six decades to regain the post. Ongoing efforts to address the opioid epidemic. Stay tuned for what is certainly going to be a rollicking 2019!